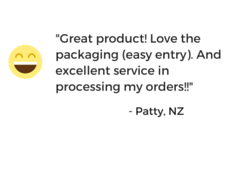 Help kill bacteria and relieve the discomfort and pain of a sore throat using two antibacterial ingredients, while enjoying the sweet taste of lemon and honey. 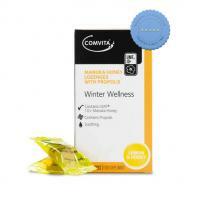 Provides temporary relief from sore throat . 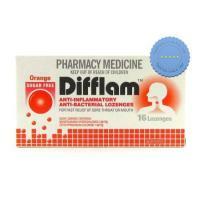 May be used for tonsillitis, pharyngitis and mouth ulcers . Comes in eucalyptus menthol-flavored lozenges . Great tasting lozenges to help soothe the throat, while supporting the immune system and the body's general well-being with the benefits of elderberry, vitamin C, zinc and honey. 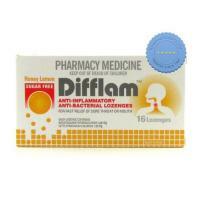 Difflam Throat Lozenges provide fast relief from Sore Throat and Mouth. 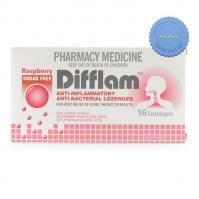 Difflam Lozenges have an anti-inflammatory action to provide effective relief of the symptoms of Sore Throats and Mouths. Suffering from a sore throat can be painful and annoying. It is a pain, scratchiness or irritation of the throat that often worsens when you swallow. The most common cause of a sore throat is a viral infection, which may be because of a cold or the flu. There are also sore throats caused by bacteria, which may need treatment using antibiotic drugs to prevent complications. The symptoms of a sore throat vary based on the cause. Sore throats often occur together with other symptoms such as fever, chills, coughing, runny nose, sneezing, body aches, headache, nausea or vomiting. 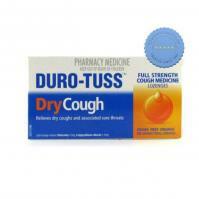 There are various treatments or remedies that can help alleviate sore throat. 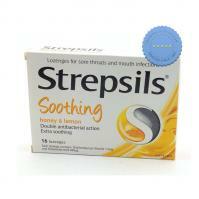 But one of the most convenient ways to deal with a sore throat is by taking nonprescription throat lozenges. Most throat lozenge are small, typically medicated tablets dissolved slowly in the mouth to temporarily provide relief by lubricating and soothing the irritated tissues of the throat. 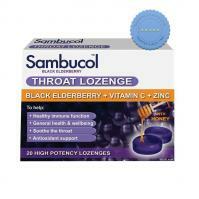 Throat lozenges often have antibacterial properties or a local anesthetic to numb the throat and soothe pain. 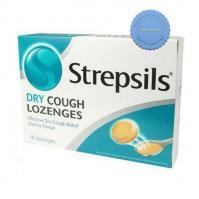 Throat lozenges are formulated with various flavours to make them easier to take, even by children.